Bamboo isn’t typically the first choice in decking material, but why shouldn’t it be? 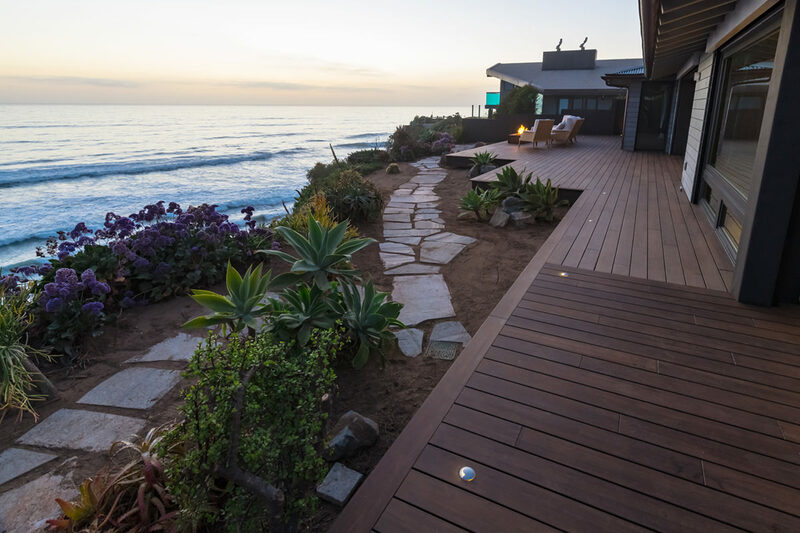 It’s an environmentally friendly substrate that’s both beautiful and durable—two key things to look for in a decking surface. If beauty, durability, and a non-traditional look appeal to you, then dassoXTR decking might be something to consider. Early attempts to manufacture bamboo decking failed miserably—especially in the Pacific Northwest. Strips of bamboo were laminated together to form a board, but the boards didn’t stand up well to moisture and were a great food source for insects. The manufacturers knew they had to address this challenge, so they solved the issue by cooking the sugars out of the bamboo strands and injecting phenolic resins into the core of the strands—the same resins used to make bowling balls. (We all know how strong a bowling ball is.) DassoXTR is comprised of 87 percent bamboo and 13 percent resin—making for an extremely durable deck board that is also patented in the United States and many other countries. Traditionally, decks are built using hardwood—especially exotic woods sourced from South America. Unlike most hardwoods (which must grow for 50 years or more before they can be harvested), bamboo is a fast-growing grass that can be harvested every five to seven years. Because of this rapid renewability, bamboo is one of the most environmentally friendly and sustainable building products available in the world. Dasso Group (the manufacturer of dassoXTR) is a world leader in the manufacturing of bamboo products both for interior and exterior applications. DassoXTR has been used worldwide since 1992, and over 70 million square feet have been sold and installed to date. Dasso Group’s outdoor bamboo products are designed for exterior use while retaining the eco-friendly qualities of bamboo, and dassoXTR’s patented fusion process creates an extremely durable, solid plank decking which exceeds ipe in the Janka hardness test. In addition to being sustainable, dassoXTR bamboo decking has many features that outperform traditional decking materials. 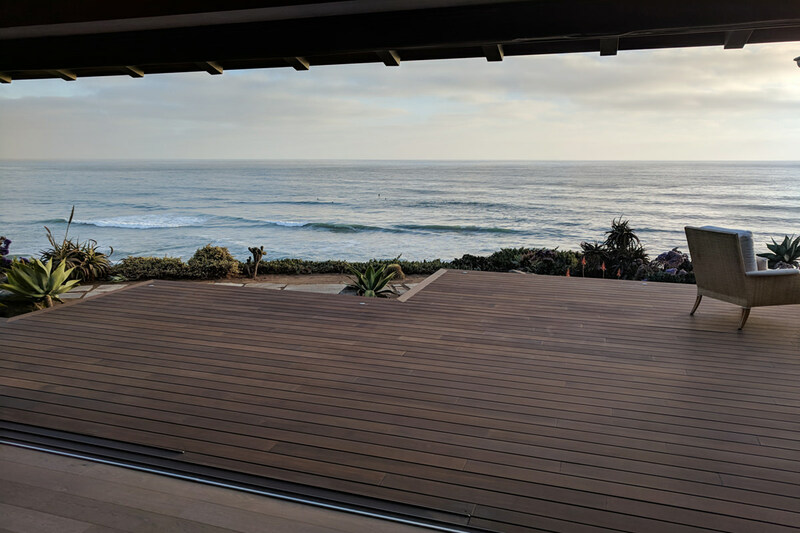 DassoXTR’s fused bamboo decking won’t attract mold or mildew, and each decking plank features a tongue-and-groove end-matching system for easy installation. These planks are dimensionally stable so that you don't have to worry about shrinkage or expansion associated with exotic hardwoods. The planks are available in a uniform six-foot length. 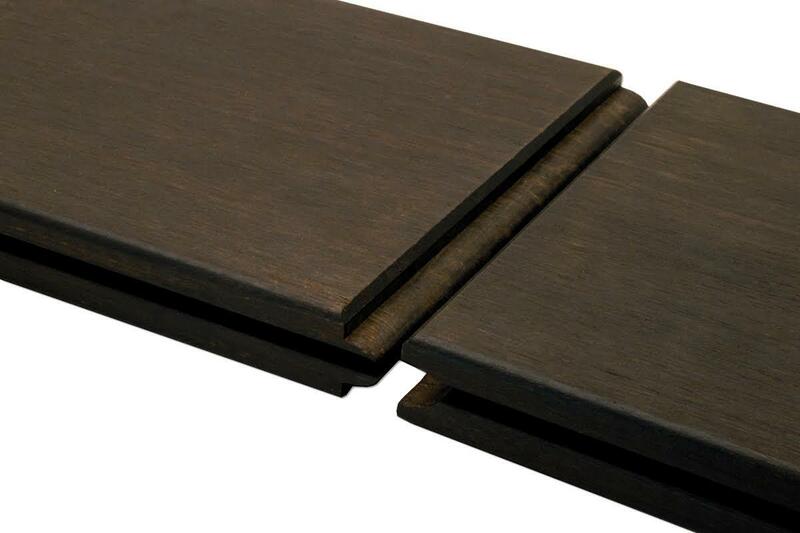 Because of its tremendous strength, the end-matched joints aren’t required to land on a deck joist. This flexibility speeds up the installation process by 35 percent or more. The maintenance is easy, too—the rich brown color of dassoXTR bamboo decking is maintained by recoating the planks every 12-18 months (or as needed). Whether you’re putting together a brand new deck or rebuilding an existing one, dassoXTR fused bamboo decking is a choice worth considering. If you have any questions about dassoXTR decking, you can visit their website or stop by one of our decking showrooms to speak with a Dunn Lumber specialist. Should a Contractor Order or Build Cabinets for a Remodel Project? Nowadays there are many cabinet manufacturers to choose from. From large companies to small custom shops, each have different qualities, manufacturing processes, and services. As a remodel contractor, how do you decide between working with a cabinet company or building your own?